Valmet has signed a distribution agreement for wastewater automation with Tsukishima Kikai Co., Ltd. ("TSK") in Japan, to strengthen wastewater business in Japan. According to the agreement Valmet provides its advanced wastewater automation and measurement technology, while TSK is responsible for the sales, engineering and service in Japan in this new partnership. TSK has a well-established presence and strong track record in wastewater industry in Japan. 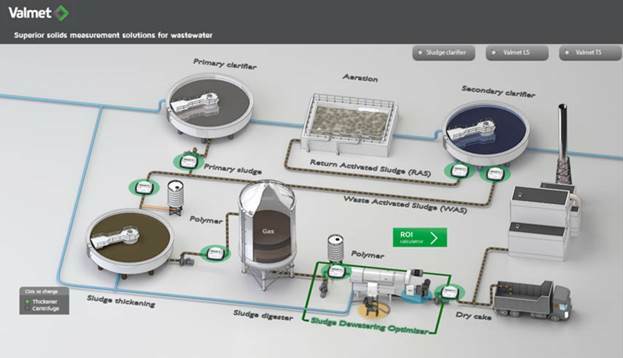 Together with Valmet's strong automation expertise and advanced technology, the companies can expand wastewater automation and measurement business and help the wastewater industry to improve and optimize their processes. "Valmet is pleased to announce its cooperation with TSK who has more than 100 years of industry experience. We are committed to contributing environmental technologies to the world, in order to bring the advanced automation solutions to water and wastewater facilities. We also aim to minimize the life-cycle cost for water and sewage treatment business and the impact on global environment," says Heli Karaila, Business Manager for wastewater automation at Valmet.